Actor/model Antonio Sabato Jr. will serve as the master of ceremonies for the Great American Inaugural Ball’s salute to our armed forces and the charities that support them. Joining him as a celebrity host will be Max Hodges, best known as the “surfer dude” on entertainment news show TMZ. The gala on Friday, January 20 at the new MGM National Harbor hotel and casino will feature Sabato as the official host who will introduce the ball’s special guests: country music sensation Darryl Worley who’ll be singing the national anthem and performing his 9/11 tribute hit “Have You Forgotten?” that spent seven weeks at the top of the Billboard country charts; USO of Metropolitan Washington-Baltimore Chairman Paul McQuillan, whose non-profit provides services for active duty military members and their families; and Gold Star Mother Tammy Davenport from American Gold Star Mothers, an organization of mothers who have lost a son or daughter in the service of our country. 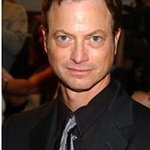 Sabato, a former Calvin Klein model and TV star, and Hodges, whose laid back humor entertained America daily during his time at TMZ, are no strangers to the spotlight, but on January 20 they will pass it to the groups that selflessly support our servicemen and women and their families who have sacrificed so much. Taking center stage with USO-Metro and American Gold Star Mothers will be the Tragedy Assistance Program for Survivors (TAPS), Families United Toward Universal Respect (FUTURE), and The Nashville Connection – Heroes Salute, a music workshop and benefit concert. Representing our armed forces will be Major General James Hoyer, Adjutant General of the West Virginia National Guard. He will share the stage with fellow West Virginian Sen. Joe Manchin who will relate his experiences with another Great American Ball charity partner, the National Guard Youth ChalleNGe, a program that mentors high school dropouts. For tickets or more information, visit www.greatamericanball.com.